Ever look back through old photos and get the biggest smile on your face when you come across that moment, that special place, that special person that makes your heart happy. I can remember going through my Grandmother’s and my Mom’s old photos and studying them for details, faces of people I new, family pets and so forth. Family history and details were learned and shared through our photographs from many generations ago. This year we’ve decided to create a little family history of our own. Every year we spend time with Mom during the Holidays. 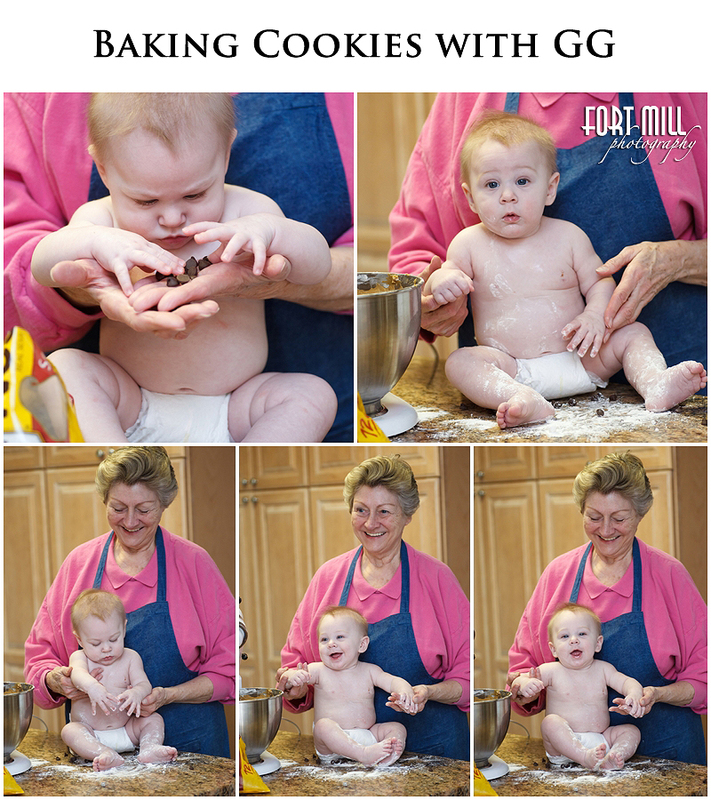 We always look forward to her baking those Chocolate Chip Cookies from her old family recipe. 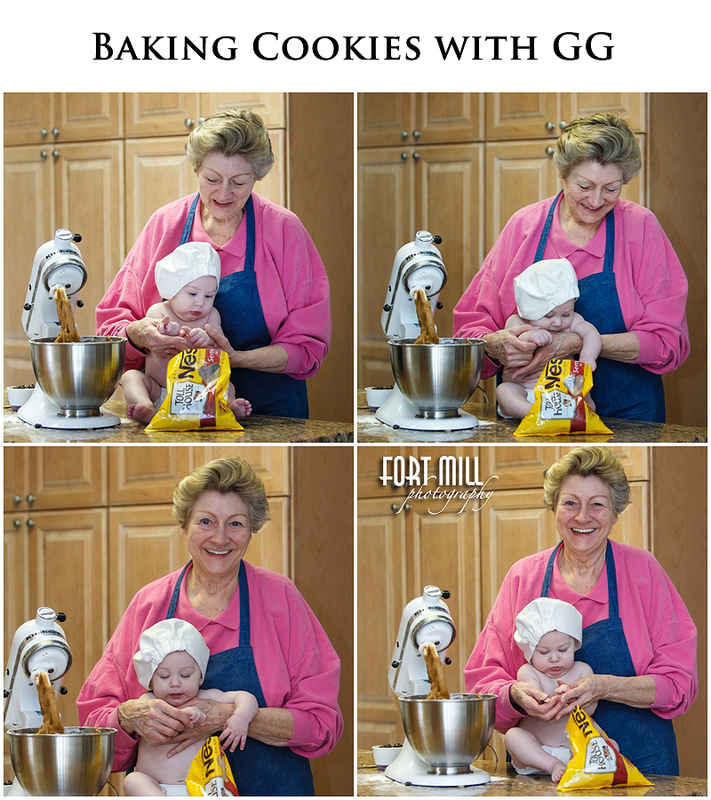 She’s baked them for us while we were growing up, our children and now we have our first Grandchild to add to the mix. 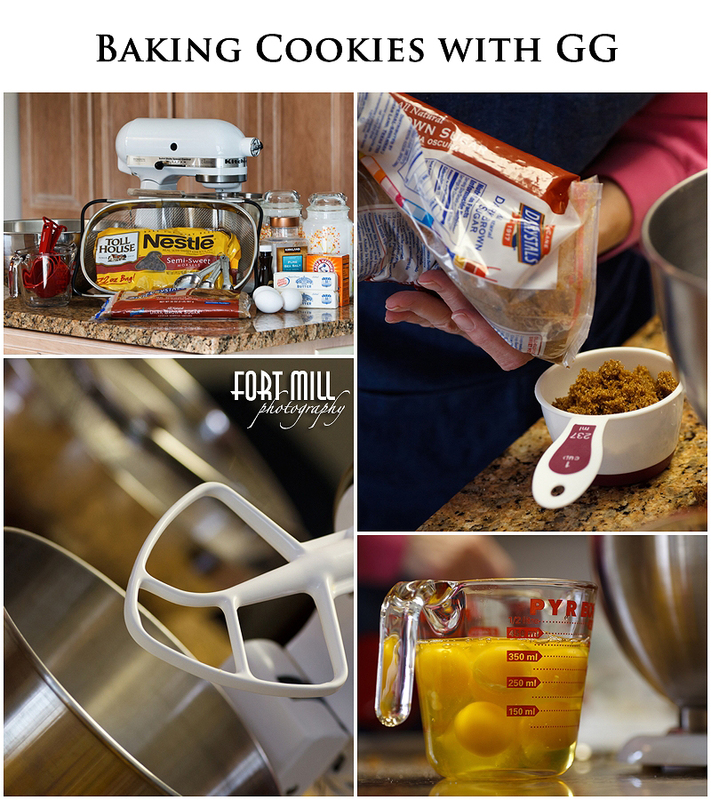 While looking at the old fashioned mixer sitting on the counter one morning we decided that cookie making with GG (Great Grandmother) would make a great story to capture and pass down for future generations. 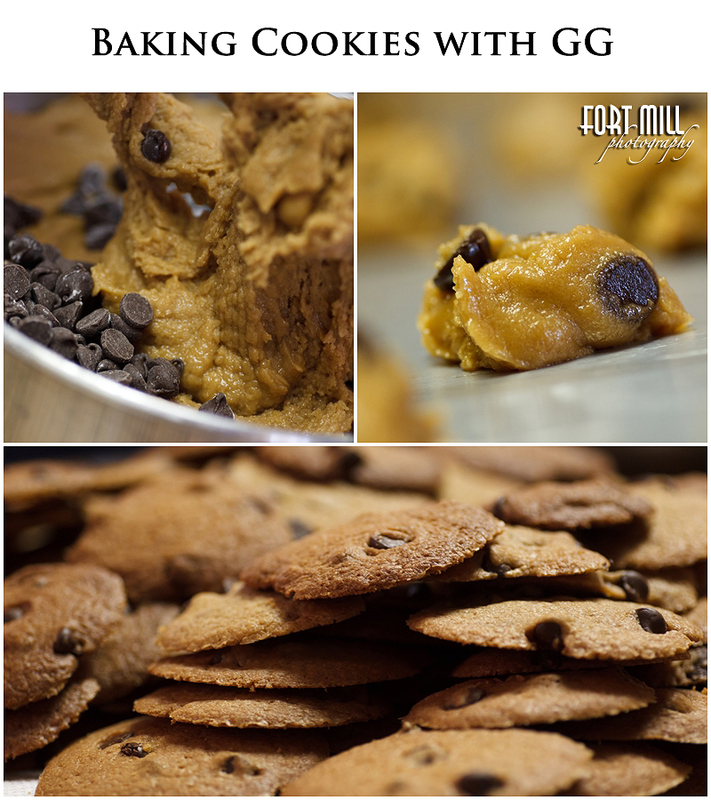 We captured everything from the ingredients to the pile of cookies cooling on the countertop. 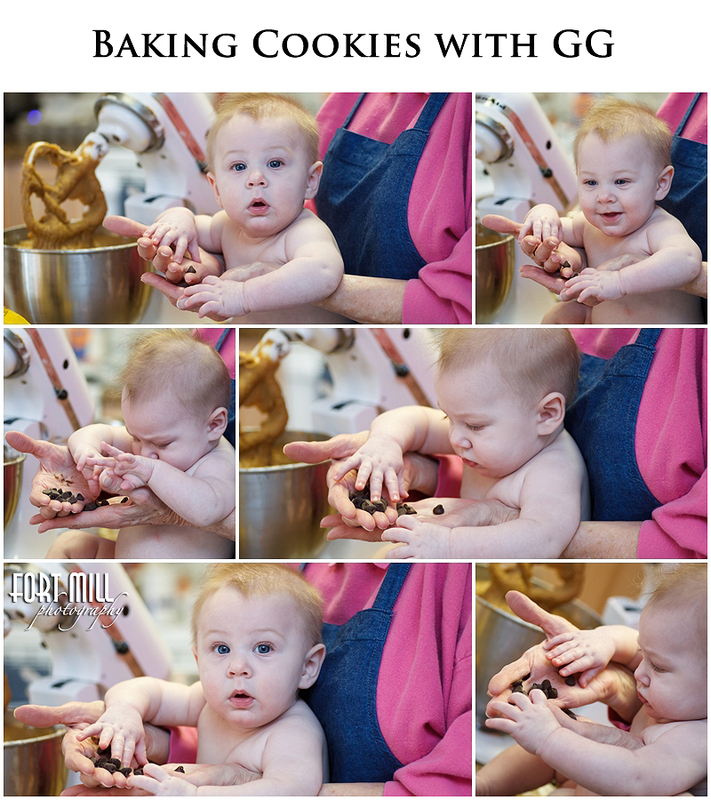 Our 5 1/2 month old Grandson Blayden was in rare form as he handled the chocolate chips, covered himself in flour and entertained all of us during the shoot. 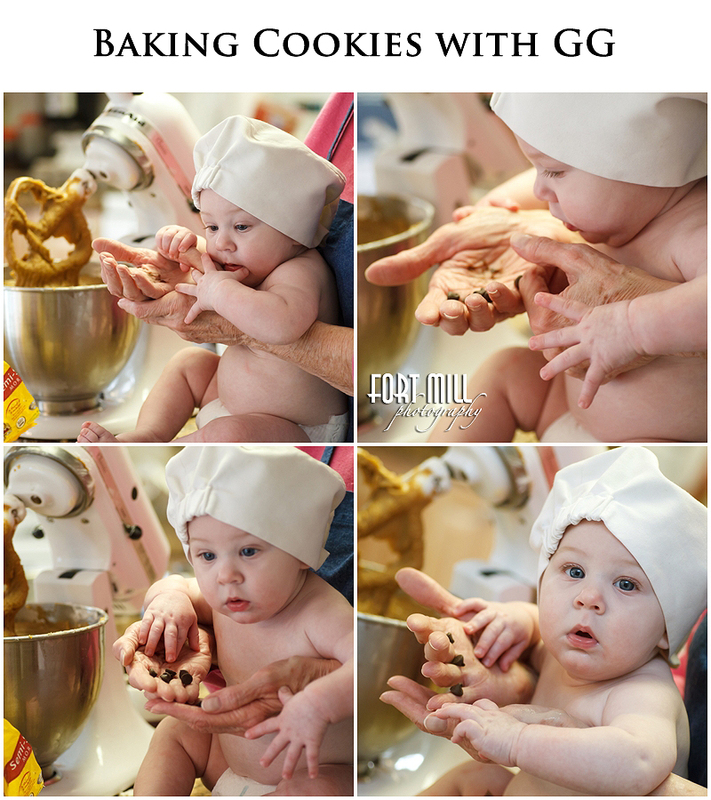 We’ll not only share what we captured online, we’ll create an album for the family as a keepsake to share. In our family it’s important to print the images we capture for future generations to experience. For more information on capturing your special moments please contact us for more information on our Styled Portrait Sessions.